What is a Magic Maker? Welcome back to our brand new podcast for Magic Makers. Last week I shared that I recently celebrated my 13th anniversary as an entrepreneur, and I shared a bit of background with you about my journey. I mentioned that the drastic differences between my lifestyle as a 23 yr. old college dropout who knew nothing about business, and the life I have now, which is one I have designed, where I have SO much less stress and worry, my husband and I both have tons of freedom AND I feel like I’m making a positive impact on the world. I DO feel very very grateful each and every day the the relationships, pleasures, privileges and opportunities I have – but they did not appear by accident. It wasn’t one big thing like my marriage, my move to the UK, a big pay day or fancy client that suddenly just ‘changed everything for me’ – it was a succession of subtle mindset shifts and changes, tackling fears and beliefs that weren’t helping me – one at a time… modelling the moves of mentors and friends around me who were one step ahead, and most importantly, getting very VERY clear on what I actually did and did NOT want. Today I want to tell you about where the idea of ‘magic maker’ comes from, and give you a bit more insight into what it means to be or aspire to be a magic maker. Most of my career I’ve worked predominantly in the pet industry – helping entrepreneurs who make or sell products for dogs and cats, as well as service based businesses like dog trainers, dog walkers, pet photographers and pet bloggers and influencers with their photography, design, marketing and brand building. But I’ve always worked with all sorts of other entreprenuers as well… restaurant owners and personal trainers, executive coaches and musicians, boutique hotels, world-class spas, wineries and makers – people who want to do or make something helpful or beautiful, and who want to have a meaningful, positive impact on the world we all share. As I set about to determine my own brand, what I stand for, why I do what I do… I’ve excavated great depths, looking for the deep roots and wellsprings of meaning beneath potentially ‘superficial’ skills like photography, graphic design and marketing strategy. What I discovered, is that my superpower is to actually that process itself – helping others find THEIR OWN versions of these roots and wellsprings. My genius is helping people find the ah-ha moments, words, images, brands, businesses, products and ideas that perfectly bring to crisp, tangible life the messy, foggy, blurry, tangled mess of thoughts and feelings swirling around in their head and heart and guts. But the reason I CARE about that, has very little to do with helping them build a ‘successful business’ and everything to do with building successful lives. Why? Well in my experience the traditional definitions of success don’t lead humans to happiness… and while MOST people start out wanting to be ‘successful’ in order to fuel their ego, their bank account, to achieve prestige, impress their tough-love parents, prove they’re smart or independent… the reality is once you have ticked all the boxes of superficial success, wealth, prestige, recognition and performance… you are likely to find yourself in a state of misery… burnout… stuck-ness… even hopelessness. The traditional definitions of success don’t lead humans to happiness. Worse yet, what if you don’t meet those definitions of success, and you’re not making the money, getting the attention, seeing the progress or growth you’d like… then you’re DOUBLEY miserable – because in addition to not not having the stuff that ACTUALLY fulfils us… you are also not enjoying the fruits of traditional western society or ego-driven success. You have it worst of all. The traditional definitions of success don’t lead humans to happiness… but sleep-sucking worry over money, or time, or perceived rejection or unworthiness definitely DO add to our unhappiness. The worst part of all, is that the keys to our happiness as humans… feelings like freedom, contentment, joy, ease, enoughness, growth and service… these are things we’re supposed to have, do, achieve and pursue in our ‘spare time’ right? The time leftover after we trade most of it away for the money we need to live. What do we do if we aren’t independently wealthy and live in a capitalist society that requires us to earn money to live in a house and buy clothes and feed our families? How do we do that AND achieve the stuff like freedom, ease and service that, unlike money, ACTUALLY DOES make us deeply happy? Well my version of this answer is this: we combine the need to make money with the things that make us happy. We get paid to talk about our passions with other people who get it, we get paid to exercise skills we love practicing, we get paid to serve and give back, and most importantly, we get paid to spend our time the way we choose. As an entrepreneur, you achieve all of this, by building a brand a brand that matters, instead of just a business. When people ask me what I do my response, my ‘brand statement’, is that I help entrepreneurs find freedom and fulfilment by building brands that matter instead of just businesses. I believe that brands that matter, and the entrepreneurs who throw their hearts and souls into them, will save the world. Building a brand that matters is not a get rich quick scheme… it is the long game… but it’s the game that allows you to have it all: Freedom, fulfilment AND enough influence to actually change the world for the better. Magic makers are the entrenpreneurs I’ve described above, who build or aspire to build brands that matter, instead of just businesses. 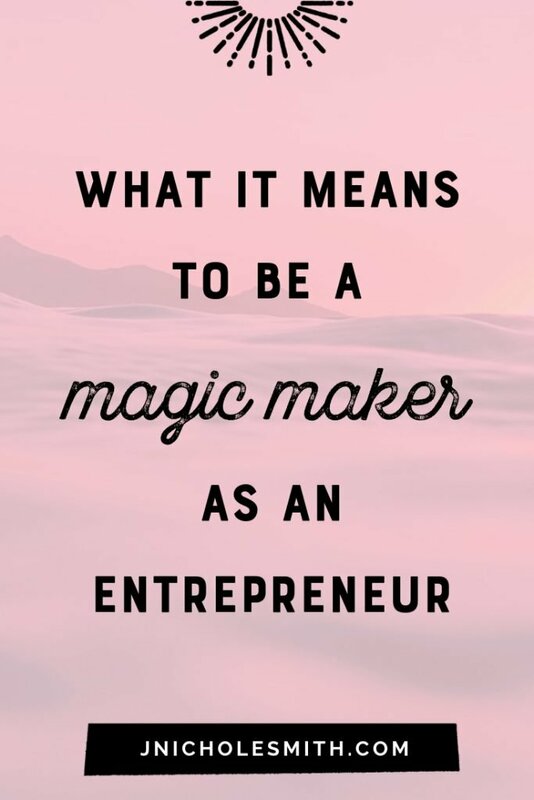 Magic Makers are the the brand builders who are finding location independence, financial freedom, deeply fulfilling work AND making a positive impact in the lives of their customers and the causes they care about. Magic Makers have it all. Importantly, what separates us from the ‘regular people’, is that Magic Makers dare to believe in the impossible. Without proof or past experience, a magic maker has faith in the unseen…. 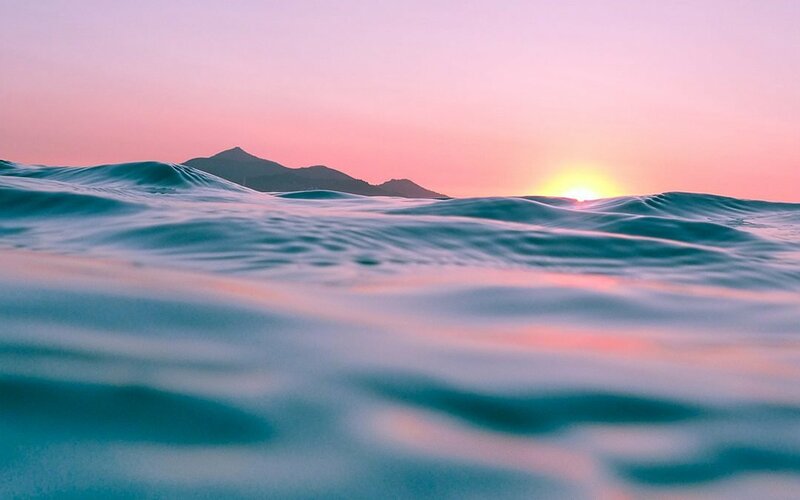 We believe in something bigger than our small human selves: in the universe, in God, or Dog, in nature, or karma… we hold open space for the impossible to be possible… we are willing to step out into the void of the dark, beautiful unknown, in order to have it all. Most people never take that first step, and so they stay stuck. I have a great deal of my career passionately focused on pet entrepreneurs because there is a HUGE percentage of potential magic makers in the pet industry – passionate, huge-hearted humans who just want to make a difference… It shatters me to see how these purpose-driven petpreneurs have made a habit of sacrificing their own desires, needs and dreams in order to serve. They just don’t believe it’s POSSIBLE to have it all, and if they have to choose, the cause matters more. They fear, and therefore believe, that it must be ONE or the OTHER… service or freedom, helping or having, creating change or creating wealth. Pet entrepreneurs are not the only group of un-tapped magic makers. I have created this space for you, the magical minority, who are willing to step with me into the dark, and suspend your disbelief just long enough to see if maybe, just maybe, I might be right. If this is the path you chose, you, the brave, enchanted rebel must learn to sit with discomfort, and stare fear in the face… to reach deep into your heart to find the truth that steadies you, and keep moving forward, no matter how slowly, no matter what the skeptic majority might say. If this process were easy, or obvious, or comfortable, it wouldn’t be magic, and everyone would be doing it. If you want to be that human… the one who identifies your unique magic, and leverages it, to design and achieve the life of your dreams, while ALSO making real, measurable change in the ways that matter to you… then you’re in the right place. Through this podcast, and the other phenomenal resources my team and I are busy creating for you, we’re essenitally creating a step-by-step guide to become a magic maker. If you want in, all you have to do is go to our free, private facebook page, inside you’ll find a few resources to get you started. If you could have any life at all, if you could get paid to do any damn thing, what would it be? If you know the answer, or you want help finding it, dive into the FB group, introduce yourself and tell us – don’t worry if your dream seems impossible – or you have no idea what it is yet – we exist to help you figure it out and nurture it. That’s it for our second episode of the Magic Maker podcast – welcome to the headquarters of entrepreneurs who want to do good, be real, find happy and build brands that matter. Next week, I’ll be sharing the secret for how to HAVE it all, without having to DO it all – it’s one of my favorite topics so don’t miss it.